ROME, Georgia (May 6, 2016) – Rome’s Seven Hills Equestrian Center was known for years as one of North Georgia’s premier venues for breeding, training, boarding and showing fine horses. Now, the property is set to sell in an upcoming auction, with American Auctioneers managing the event. The 80-acre estate and horse farm includes a luxury home, barns, and even a foaling barn with security cameras, according to Keith Baldwin, principal broker and auctioneer of the auction company. “It’s rare to see a property that combines so many luxury amenities with excellent, functional equestrian facilities. Someone with an existing equestrian business could move in and hit the ground running here. The land is just gorgeous, with a private stocked lake, ponds, and a creek running through the property. The rolling pastures are fenced and cross fenced,” said Baldwin. The elaborate log home is located at 201 Kellett Road Northeast, Rome, and has three fireplaces, backup generators, a home security system with cameras, and a secret room in the basement. The in-ground pool has a new liner and cover. 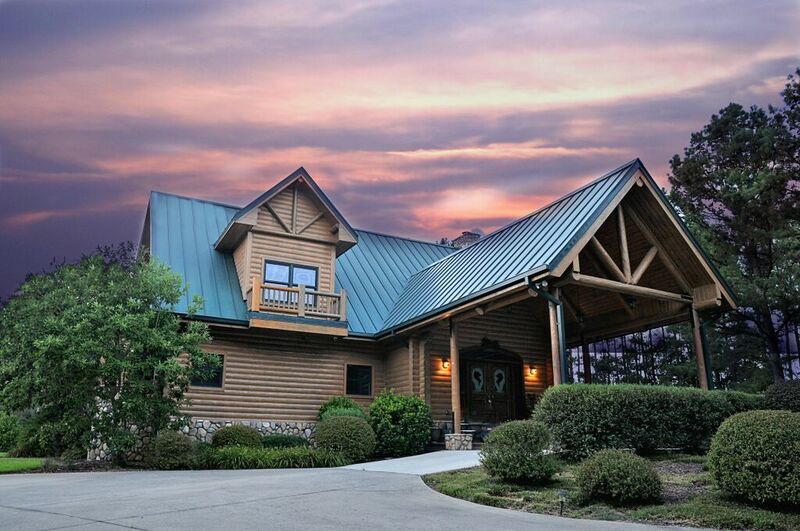 Equestrian facilities include stables, a feed/tack room, a hay storage area and a living area over a custom barn. Another 150-foot by 120-foot equestrian barn has a covered riding arena, more than 15 boarding stalls, a concrete floor, and rubber mats in all the stalls. The estate also has a guest house and a caretaker’s home. The auction will begin at 11 a.m. Eastern Saturday, June 18, at the facility, located at 201 Kellett Road Northeast, Rome, Georgia. American Auctioneers LLC, headquartered in Centre, Alabama, specializes in use of live and online auctions for the sale of real estate, heavy machinery and other high-value assets.